The world’s most intelligent storage, built for our hybrid cloud world to help you unlock the full potential of your data. eliminate issues before you even know they’re there. Deliver predictive, cloud ready, all-flash storage with effortless scalability, radical simplicity and 99.9999% guaranteed availability. An all-flash hyperconverged platform uniting best-in-class data services with the world´s bestselling server. 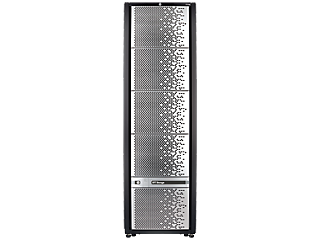 Ultra-dense enterprise flash arrays are ideal for demanding workloads with 3.8M IOPs and 20PB scale. information to move freely without any constraints on workload or location. An enterprise multi-cloud storage service for running your applications in Amazon Web Services and Microsoft Azure. It is easy to use and has the enterprise-grade reliability and features your applications need. Cloud ready all flash and adaptive flash arrays with native cloud integration to enable hybrid IT deployments. It delivers 99.9999% guaranteed availability. Enable cloud backup and disaster recovery directly from your HPE 3PAR flash storage or HPE StoreOnce backup appliance. Leverage the cloud platform of your choice, including AWS S3, Microsoft Azure and Scality for long-term retention, disaster recovery and archiving for over 100 PB of data. Artificial intelligence, machine learning and cloud-based predictive analytics that transforms how infrastructure is managed. It eliminates wasted time by predicting and resolving 86% of problems before your business is impacted and ensuring 99.9999% of guaranteed availability. economic solutions to effectively address storage needs for NAS, file, and object storage. Flexible, affordable file storage appliances and gateways for small and midsize businesses plus the branch offices of distributed organizations.